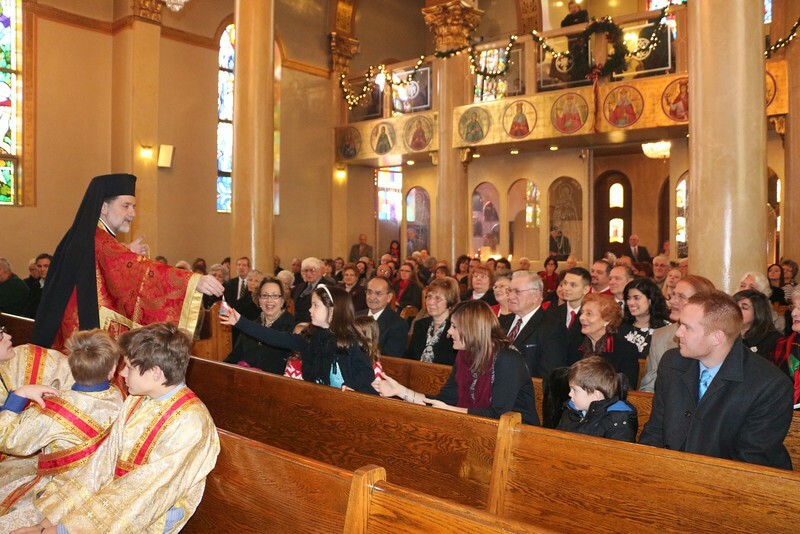 On Sunday, December 21, 2014, His Eminence Metropolitan Nicholas celebrated the Hierarchical Divine Liturgy at the Holy Trinity Cathedral in Toledo, Ohio. His Eminence was assisted by Fr. Larry Legakis and Dcn. Alex Radulescu. Also present was Fr. Chris Hadgigeorge. Following Liturgy, the parish presented its annual Christmas Pageant.